Let’s talk Botox. Yes, I get Botox and have done so for nearly 3 years. I’m not here to ‘advocate’ for Botox, or in any way tell anyone they should or shouldn’t get Botox, but what I do want to do today is talk about it. Real talk; not just the information you can find on dermatologists websites. So let’s dig in, shall we? First, I want to talk to you about my personal experience with Botox (it hasn’t all been good!) and then I’ll share some FAQ’s about Botox. If you have any questions about any of this, definitely just ask! If you’ve ever seen my instagram stories, you probably know that I am a very expressive person. Everything I think, say, and feel, you can read directly on my face (I have no poker face haha!) This meant that by the time I was in my early 20’s I started noticing distinct wrinkles on my forehead (… three to be exact). I complained to friends and family who laughed, since what 21 year old complains about wrinkles?! That said, it always bothered me that I had these wrinkles and so about 3 years ago, when I was 29, I started getting Botox to ‘undo’ them. 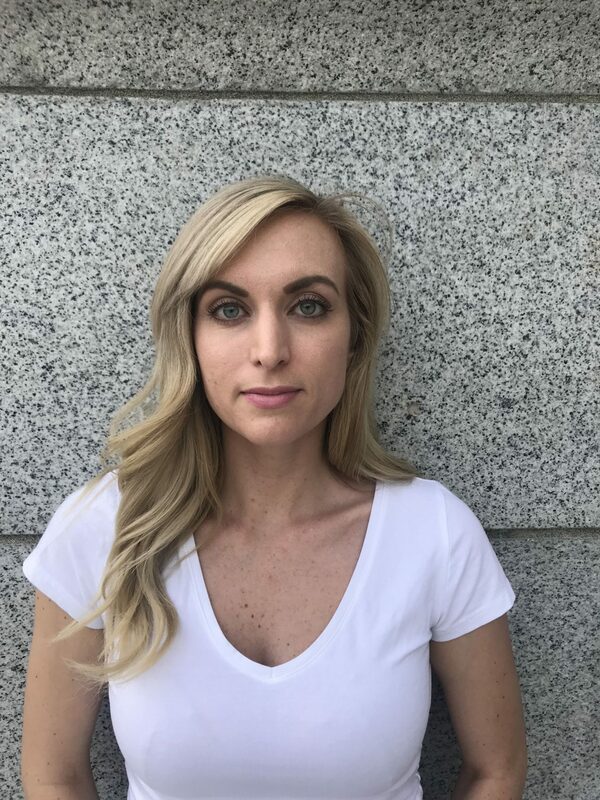 I am beyond thrilled with the results – I don’t think it looks ‘fake’ nor have I had any issues feeling like I can’t move my face or express myself. It’s just that now when my face is ‘at rest’ you don’t see three lines in my forehead – it looks like it did when I was a teenager! I have been to 4 different places for Botox treatments over the past three years. Let’s just say they have not all been good! I have found some places to be very “pushy” which is just horrible to experience. For example, I once went to a skincare center where they told me my entire face (at a bone/structural level) was “misaligned” and that I should get their $8,000 cosmetic surgery package to fix that. Ummm, No. Another place tried to convince me to buy a $5,000 Botox package up-front (after I had just had my Botox treatment, so didn’t even know if I’d like the results yet!) because the package was only available for a few more days and was such a great deal because it covered $7,500 worth of Botox for only $5,000. They were incredibly pushy and sales pitchy. Needless to say I felt so uncomfortable about both skincare places that I left both and never returned. My recommendation would be to do your research on places before you go, and go for the first time as a complete ‘test run’ – be aware of how they treat you and how they make you feel and be confident enough to never go back if they are not good! Flash forward to now; I am so happy with Botox routine! 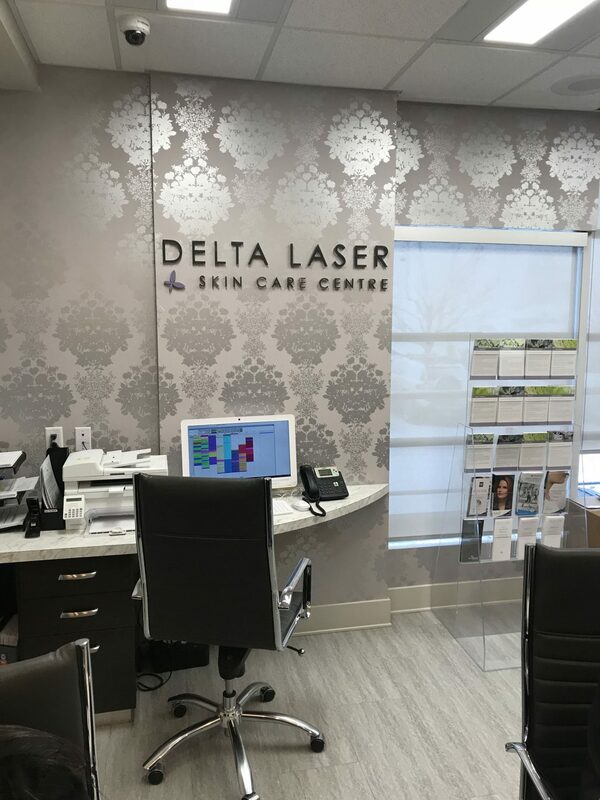 I get Botox now at Delta Laser – a skincare center with locations in Delta & Burnaby. B.C.,(The Lougheed Laser Centre) and I am thrilled with the experience. If you follow me on instagram you may have seen that I am collaborating with them on ‘fixing my skin’ (a future post is coming, I swear!) and so they were kind enough to let me try Botox Cosmetic with them as well, and I am so glad I did. The staff were knowledgeable and friendly, and really just made the whole experience a good one. I had Dr. Grace Francescato, N.D. do my Botox and she is just the sweetest human. She clearly cares about her patients; both in how they feel, how they look and what she can do to help. 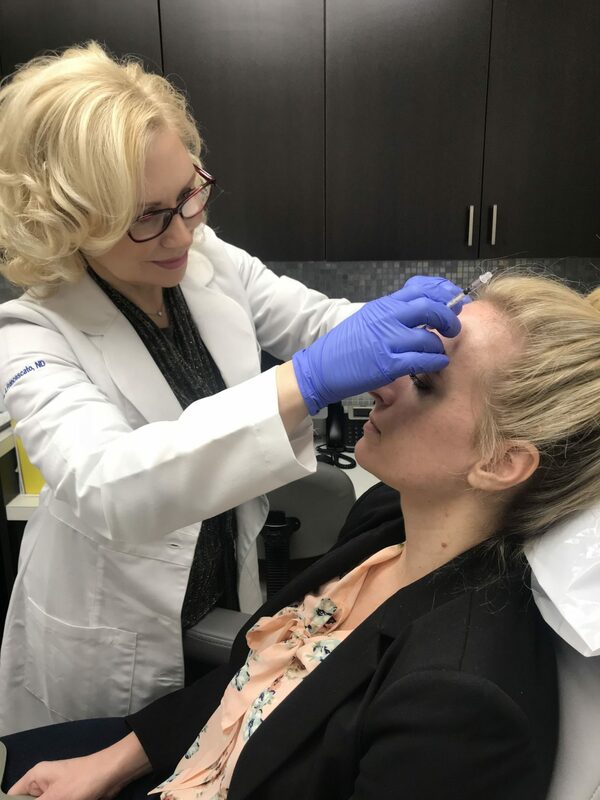 After having me hold a mirror and explain what the ‘problems’ I wanted to fix were, she talked me through exactly where she thought the Botox injections should go to get me the best results and answered all of my questions. One thing I really liked is that since she knew I had had Botox before, she asked me how much money I usually spend/what my budget would be so that she could develop an injection plan that was within my budget. SO different than being pressured to for over $5000! least two different types. Most carry Botox Cosmetic and most are starting to add Xeomin or Dysport or both. 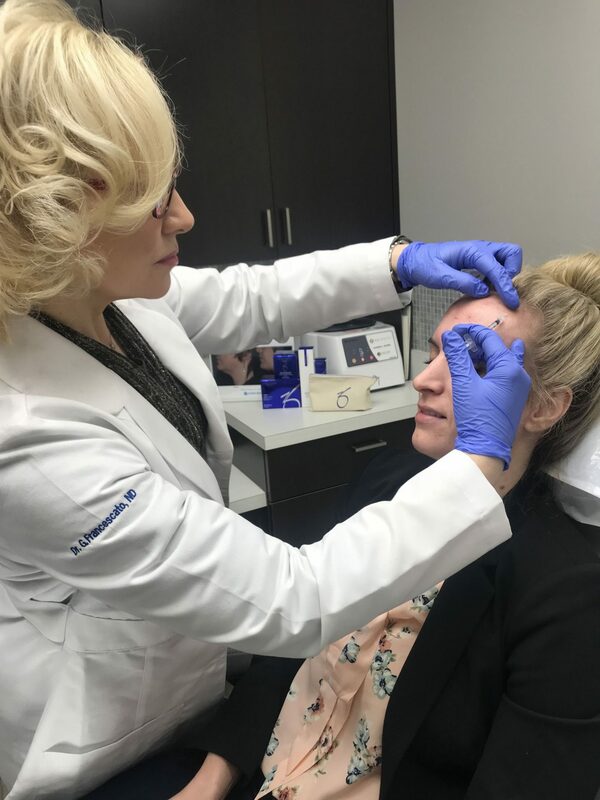 Botox Cosmetic, and other neuromodulator’s, are used on the lines and wrinkles of the skin that are caused by dynamic muscle movement, like frown lines or crows feet. Basically, it causes temporary immobilization of small muscles in order to stop them from moving the skin in a way that creates or exacerbates fine lines and wrinkles. It is both corrective and preventative such that if you start when lines are ‘barely there’ you can actually prevent them from becoming wrinkles, since wrinkles are caused by the repetitive movement of muscle scarring the skin. And if you start after the line is already formed with regular injections, as the skin no longer creases, it begins to smooth out lines that are already formed. The cost of Botox varies from place to place, and also can vary by brand. At Delta Laser the cost is $10 per unit ( $9 per unit if you’re buying 50 units or more) which is competitive to the other prices I have seen. I know of other places that charge $15 a unit, and I think the lowest I have personally heard of is $8 a unit. The amount of units you need to get is dependent on what you are looking to fix. For me with my ‘expressive forehead’ I got 24 units, and they were placed around my temples, into my forehead, around my eyebrows etc. High-quality skincare places like Delta Laser are sure to place the injections in areas that aren’t directly the ‘affected’ area in order to ensure the muscles throughout your face still look and move naturally. This is 100% worth it to make sure the results look even and natural. Does It Hurt / What is the Process of Getting Botox Actually Like? Your first time the process takes a bit longer – probably 20-30 minutes. This is because (at a good place like Delta Laser) they take them to understand what your concerns are, what your expectations are, what your budget is, etc. They work with you to make sure you come out of the experience happy. After that though, you can be in and out of getting Botox done in 5 minutes! I am probably not the right person to ask about the pain because I have a freakishly high pain tolerance. That said, I didn’t feel any pain at all and having asked other women who I know get Botox done they all expressed it as ‘minor discomfort’ but not pain. The needles being injected are quite small and it feels like a pinch as they go in. So, it’s not exactly “fun” but certainly isn’t something that you’re crying over. This, again, varies person-to-person as it depends in part on the strength of your muscles that lead to the wrinkles in the first place. My forehead muscles are incredibly strong (not surprising haha) and so they are able to ‘break down’ the Botox quicker than some. I, therefore, need a touch-up pretty much every 4 months. Cost wise though, it is pretty affordable as the number of units needed each time is less than the original. Usually I will get between 12-20 units. 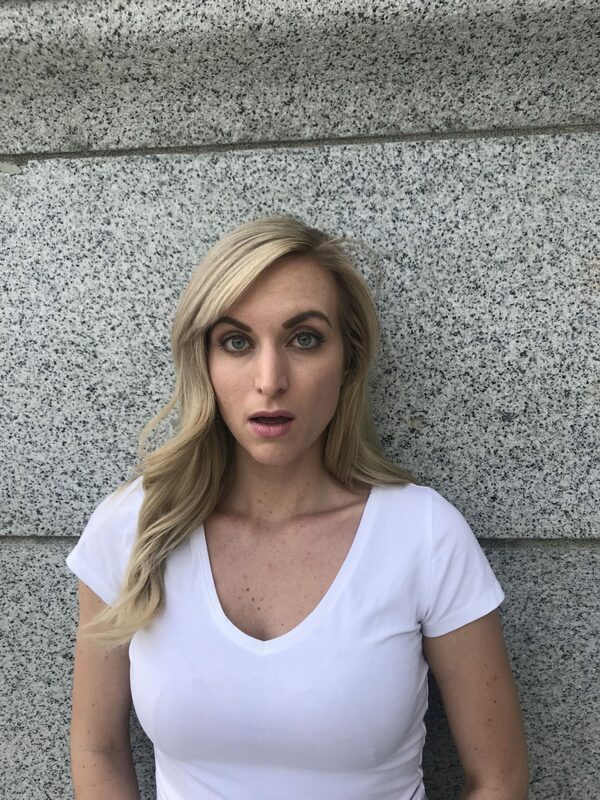 On average most people go anywhere from 3-6 months in between injections and on average most female frown muscles (often referred to as the glabella) require anywhere from 20-30 units. What Should You Do Before Getting Botox? 1. avoid waxing 2. avoid things like Aspirin, Ibuprofen & herbal supplements for a few days and 3. avoid Retin-A. This is simply to ensure your skin doesn’t bruise, swell or go excessively red after the fact. **Note: Delta Laser says even these things aren’t necessary! It really is a ‘can do easily’ type procedure. They say that you can be bruised after Botox, but I have never had any bruising nor has anyone I know. That said, if you are worried about bruising, have an ice pack on hand to take down any immediate swelling/reduce bruising. After getting Botox you should remain with your face upright (ie. don’t lie down) for 4 hours. This is just to ensure all the injections work their magic in all the right places. Delta Laser also recommends that for 24 hours you avoid working out or getting any facial massages. After that, everything can go right back to normal! The first time I got Botox I was so upset, thinking I wasted my money, because I got in my car to drive home and saw no difference/still could completely wrinkle up my forehead. Thankfully, I now know this is totally normal as the injections take a couple of hours to to take effect and some people don’t see results for 4 or even 5 days. Once you do see the results though, it is glorious lol. One last thing – I just want to make it clear again that I am not telling anyone to get Botox. I think that beauty routines and what women do for their bodies is such a personal choice. I also don’t think that Botox (or any cosmetic treatment) should be used to address feelings of low-self worth or “I’ll feel happier if…”. What I do think is that if you don’t like certain wrinkles or fine lines that you have, and you just want to get rid of them you should be free to do that without criticism and armed with a full head of information & knowledge about what you are doing. Hopefully this post helped provide some of the later! Feel free to ask me any questions you have! "Floral Wrap Dress & My Travel Bucket List"
"Pinstripe Shirt Dress & Embroidered Ankle Boots"
I did not know that Botox was a brand name!!! Mind blown haha Thanks for the informative post! You’re so welcome! Glad you find the post helpful! Thanks for sharing your experience. Maybe one day I’ll want to try it but I am more of a embrace the age kinda gal. That being said I think everyone can make that decision for themselves. People need to be happy with themselves and if that means botox then get it! You’re welcome! And my thoughts exactly – I would never encourage anyone to do something, rather, I want to be a voice to share my experiences for those that are considering it. For me, it wasn’t so much about age as the fact that my forehead, even as a kid, has always been so expressive/I get so many wrinkles when I talk. This was something that always bugged me so I chose to fix it. Thanks for breaking it down about Botox! And I love that you are honest about using it! I think you look great! Ive actually considered Botox and this is so informative! Totally didn’t know Botox was the actual brand! This is a great post! I have gotten botox a few times and am looking forward to when I am done nursing and can get it again! I am pretty expressive too and I like to get it in my forehead to help diminish those lines. I can still move my eyebrows and everything though. It pays to go to a good place that knows what they are doing! Thank you so much Laura! And I so agree – it is all about finding a place that gives you want you want – placement & amount to help minimize (and eventually erase) fine lines and wrinkles, without making you appear expressionless or fake! I’m loving all of this information! I’ve had “expression lines” in my forehead since my early twenties, and thinking it’s time to take care of them! Thank you so much for sharing! I’d never heard of him before. Sounds like he’s amazing!